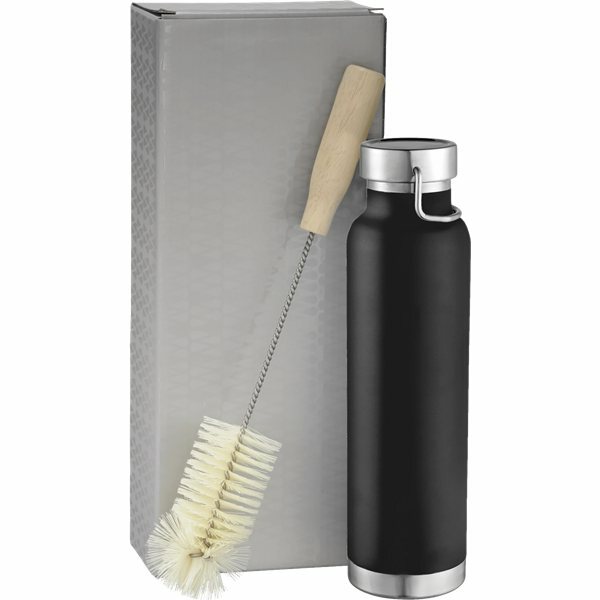 Clean your favorite copper vacuum bottle with the Native Wood Bottle Brush 1625-71. 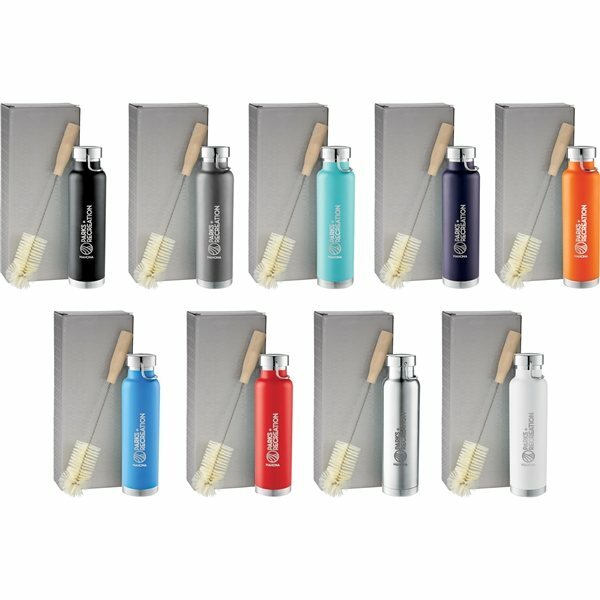 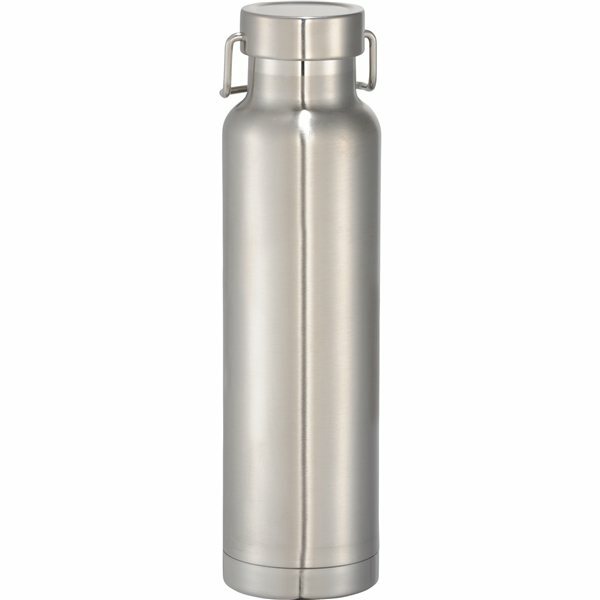 Durable, double-wall stainless steel vacuum construction with copper insulation, which allows your cold beverage to stay cold for 48 hours and at least 12 hours for hot beverages. 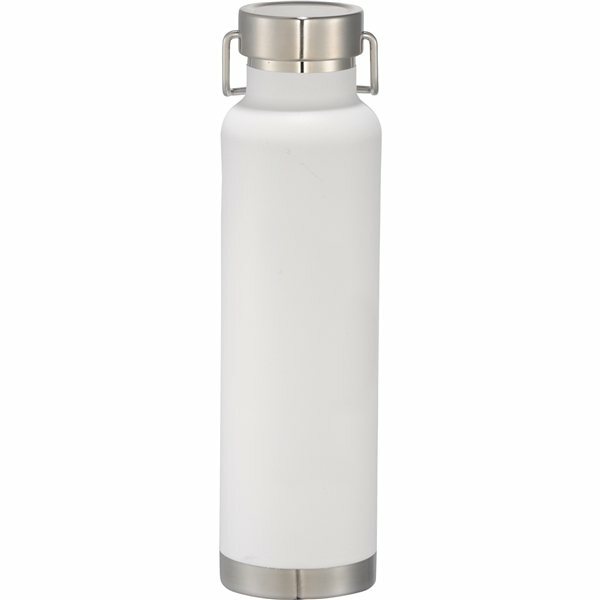 The construction also prevents condensation on the outside of the piece. Leed's Exclusive. Gift Box is not decorated. 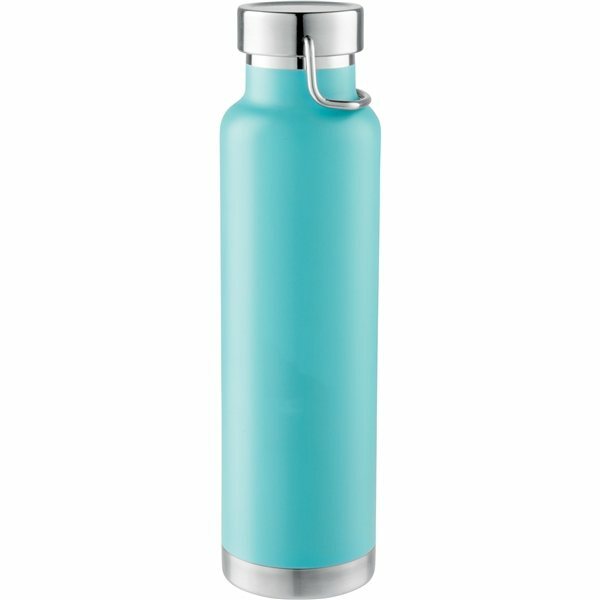 17oz.